NCSSEF funds were used to purchase a new portable liberation tank and associated equipment (aerators, oxygen system, wiring) for ODFW's Tillamook District. 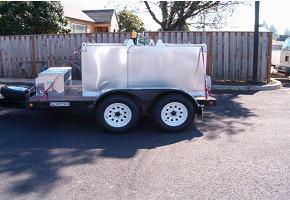 The portable tank is used by the district, local hatcheries, and volunteers to transport several varieties of fish for a number of different purposes. The primary use is for recycling adult steelhead through local fisheries.